Get our official colours and fonts, the visual building blocks of the UBC brand. Get the UBC blues. Use the colour formulas below, or if you prefer using Adobe CC programs, download and install the palette files offered below. Our institutional fonts are available for free to UBC faculties and units. Whitney, UBC’s primary font, can be downloaded as a desktop font or a website font. Our secondary font, Guardian Egyptian, is only available as a desktop font. Please note that neither font is available for use in apps or ebooks. 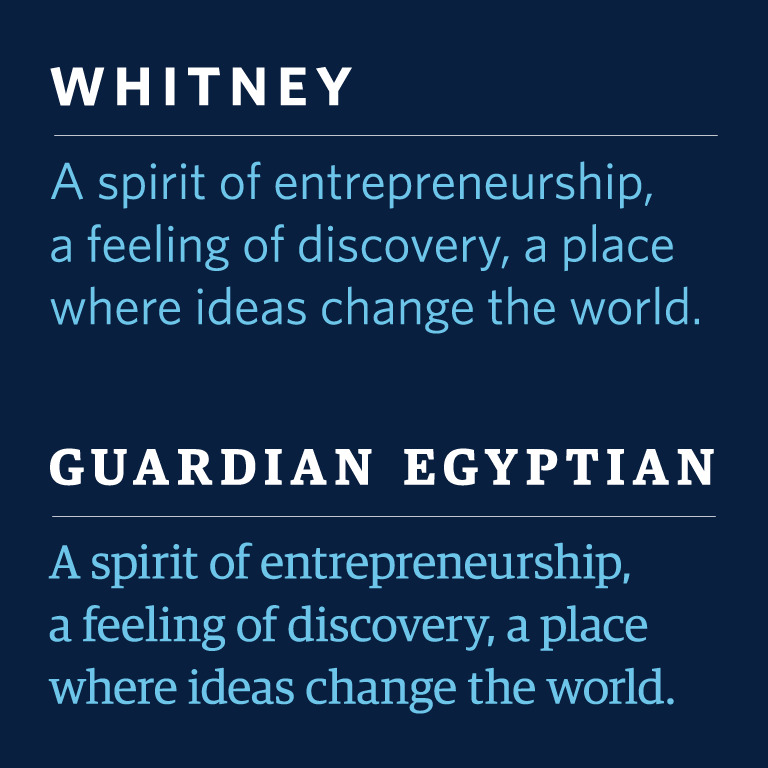 For external consultants and students, Whitney can be purchased through Hoefler & Co. and Guardian Egyptian can be purchased through Commercial Type. Some programs and applications, including Microsoft Office, ebooks and apps, will not allow Whitney or Guardian Egyptian as font options. 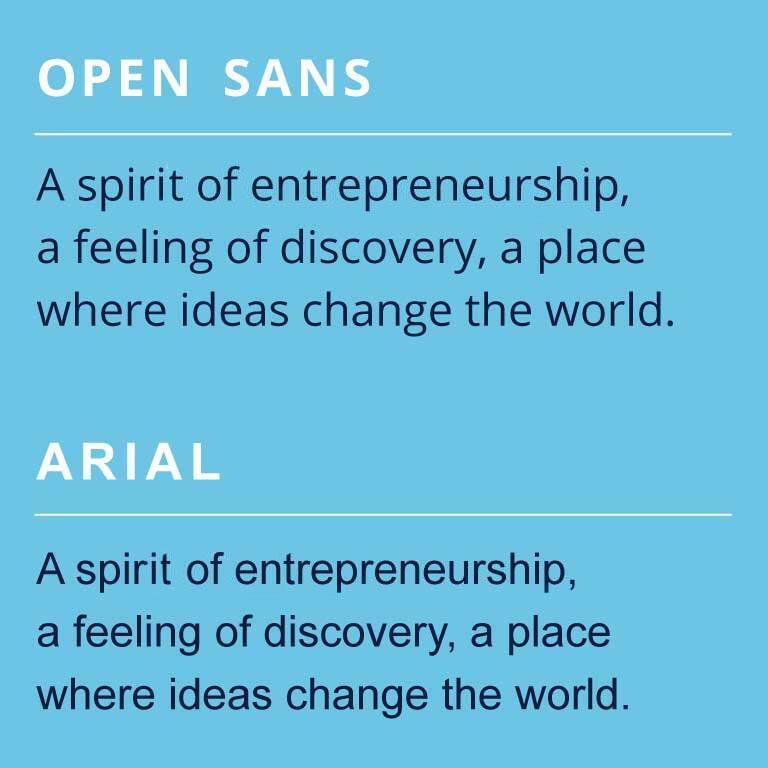 For Microsoft Office programs, we recommend using Arial, a system font that should already be installed on your computer. For ebooks or apps, please use Open Sans, a free Google font. Download the best practice guide PDF for more details about visual identity at UBC.